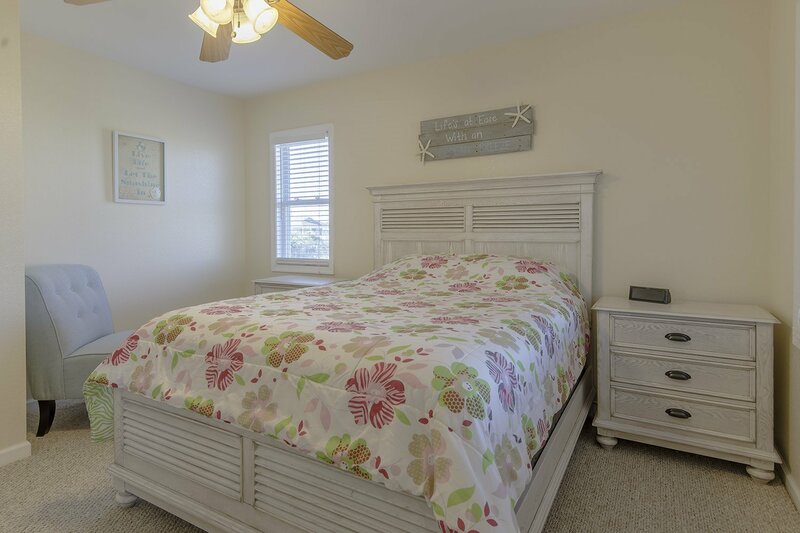 Semi-Oceanfront w/ a wonderful location that provides direct access to the Beach just 50 feet away at the Carlow Street beach access at the 8 Milepost. 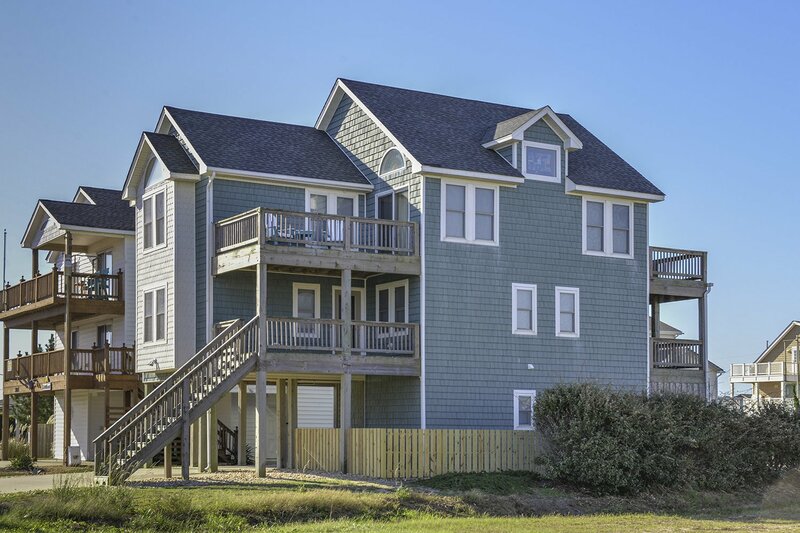 You will love the views of the Ocean & Wright Brothers National Monument, as well as all of the new furnishings, paint, carpet, appliances & decor the owners have in place. "Special K" is a very well maintained home that offers the luxury & convenience of having your own Private Swimming Pool & Hot Tub, Two Master Suites, Den w/TV & Wet Bar, plus it's Centrally Located & close to many area restaurants, stores & attractions. Ground Level: Parking for 4 Cars, Covered Entry to Home, Den w/TV, Queen Sleep Sofa, Wet Bar, Mini-Refrigerator, Full Bath w/Tub, & Access to Patio Area, Private Swimming Pool, Hot Tub, & Enclosed Outside Shower & Gas Grill. Mid Level: 3 Bedrooms (Master Suite w/King, TV, Full Bath w/Tub, 1 w/Queen, 1 w/2 Bunk Sets), Full Hall Bath w/Tub, & Covered Deck. Top Level: Living/Dining/Kitchen Area, TV w/Blu Ray DVD, Gas Fireplace, Half Bath, Master Suite w/Queen, TV, Full Bath w/Tub, Screened Porch & Two Sun Decks. Features include: C/AC & Heat, Washer/Dryer, Dishwasher, Microwave, TVs, Blu-Ray/DVD, Wireless Internet, & Deck & Pool Furniture. No Pets. This is a Non-Smoking Unit. This home was very nice. Finally the cleaning staff did an excellent job. Nicely furnished with everything a renter could want. I especially appreciated the sheets & towels being included in the rental cost.